It’s possible to to use Powershell to export lists of users who are allocated different licences in Office 365. This guide will help you export a csv file that contains a list of the users who have a specific license type. Now that you are connected to Office 365’s powershell interface you can now issue commands to Office 365. This will display a list of licences and the number of each you own and are utilised. ComsumedUnits: Licenses in use and assigned to users. Enter the following command, this will export a list of users with Power BI Standard license assigned to them. Remember to change <instancename> to match the instance name displayed in your output from part 2. You will now have a CSV file containing a list of the users with the specified license. You can perform this with any licenses listed from the Get-MsolAccountSku command. This entry was posted in Software / Applications and tagged Microsoft, Office 365, Powershell on December 19, 2017 by JAB_au. 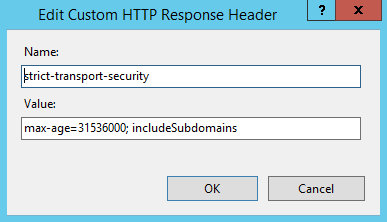 The following is a guide to enable Strict Transport Security on IIS (Internet Information Server). 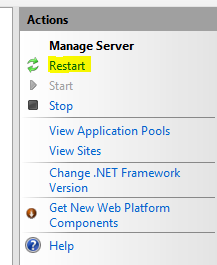 Click ok and then click on the server name again, select the restart option from the actions pane. You server should now pass Qualys SSL Test for Strict Transport Security. This entry was posted in Software / Applications and tagged HTTPS, IIS, Internet Information Server, Microsoft, SSL, Strict Transport Security, TLS on August 27, 2017 by JAB_au. 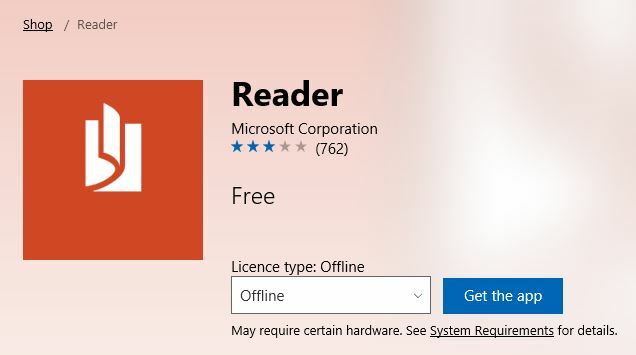 When building fat Windows 10 Images it is necessary to sometimes install Windows Store apps, however you can’t just install them from the standard Windows Store, doing so will cause sysprep to fail. At no point should you try to run any Windows store apps when building an image. To obtain the app files you must download them from the Microsoft Windows Store for Business. Sign in with a user account and find the package you are looking for. Once you have found the app you’re looking for select offline for the licence type. Click Manager, then no the next screen click Get App. Now Select your Processor architecture, if 32 bit windows select x86, for 64 bit select X64, Finally select your language. Ignore the Download button at the end of the line this will download a JSON file not required for this process. Scroll down and click the Download link under “Download the package for offline use”, this will download the Package for Reader. The next link down the page is the licensing file for Offline install, download this preferably to the same location. 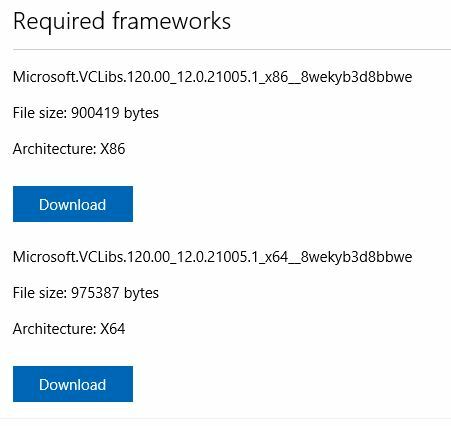 Finally after the licence link you will see “Required frameworks”, this of course depends on the app you are trying to download, these may be architecture dependent also. Download these files into the same location as well. Once you have all the files in a single folder or location open a command prompt or powershell window with administrator privileges and change directory to the location of your downloaded files from the Windows Store. Once this as executed the package will install for all users, and your windows image will seal correctly. This entry was posted in Software / Applications and tagged DSIM, Microsoft, sysprep, Windows, Windows 10, Windows Store on August 6, 2017 by JAB_au. You may have noticed the Windows TEMP folder filling up with cab_XXX files on systems, probably more servers than anything. It appears that makecab.exe is trying to zip CBS log files in the C:\Windows\Logs\CBS folder, these files can be rather large and for some reason it’s unable successfully complete the operation, so it creates this cab file instead… every 30 minutes. This entry was posted in Software / Applications and tagged Fix, Microsoft, Software, Windows on January 9, 2017 by JAB_au. Repeat steps 3 and 4 until successful. This entry was posted in Software / Applications and tagged Microsoft, sysprep, Windows on January 1, 2016 by JAB_au. 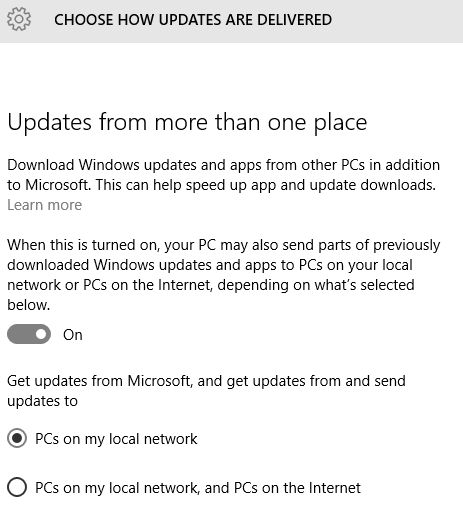 In Windows 10 there is a new feature added to Windows update, the P2P distribution of Windows updates. This is done to to reduce the load on Microsoft’s servers and that’s probably pretty heft given how many Windows computers are actually in the world, but maybe not so good for people with data caps or excess changes on there data usage. Lots of people have panicked about this with some major sites saying you should turn this feature off completely, which is a stupid move on their part. This feature can be leveraged in your favour to save you some metered data. My advice is to set this feature to On and set it to only use PCs on my Local Network. Search for “Check for updates” in the Start menu. This will restrict the sharing of updates files to your local network meaning other Windows 10 computers in your network will be able to leverage updates that they all have saving you data by only needing to download the update files once. This entry was posted in Software / Applications and tagged Microsoft, P2P, Windows, Windows 10 on August 3, 2015 by JAB_au. As of today if your still running Windows XP then you have a big problem. There will be no more security updates for Windows XP. You may have notice this message on your computer recently as well. You pretty much have no choice now, disconnected Windows XP from the internet or upgrade because it will just be a matter of time before you pay the price with a security breach if you havn’t already been hit. This entry was posted in Software / Applications and tagged Microsoft, Windows, Windows XP on April 8, 2014 by JAB_au. Windows 8.1 Update 1 downloads, thats right you can download the updates now. Most of the changes in this update are designed to win back users who were unhappy with the interface changes mad in Windows 8 that are really designed for using a touch screen. This entry was posted in Software / Applications and tagged Microsoft, Software, Update, Windows, Windows 8.1, Windows 8.1 Update 1 on April 4, 2014 by JAB_au. 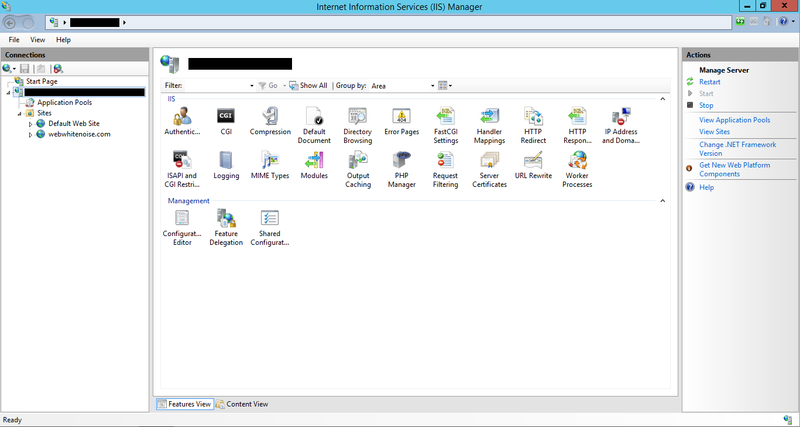 The following product keys can be entered into the product key field in your office application when your computer is joined to a Active Directory with a valid working KMS server. These keys are only for this scenario & are published publicly on the Microsoft Website. This entry was posted in Software / Applications and tagged Microsoft, Office, Office 2013, Software on November 18, 2013 by JAB_au. It’s time to update Messenger to Skype! When Microsoft purchased Skype it was pretty obvious that Messenger was probably going to either be merged, or disapear. This ancouncment from Microsoft spells then end of messenger. We are retiring the existing Messenger service globally (except for mainland China where Messenger will continue to be available) and bringing the great features of Messenger and Skype together. Update to Skype and sign in using a Microsoft Account (same as your Messenger ID) and all your Messenger contacts will be at your fingertips. You’ll be able to instant message and video chat with them just like before, and also discover new ways of staying in touch with Skype on your mobile and tablet. This entry was posted in Software / Applications and tagged IM, Instant Messaging, Messenger, Microsoft, Skype on January 11, 2013 by JAB_au.